There is a great variety of nose shapes among different people, so how does a person decide what is best for them? And how can you trust a plastic surgeon to create the result that you will be happy with? Visiting with an expert plastic surgeon like Dr. Suzman is the best place to start. Many patients are nervous about changing their nose too much, such as making it too small, scooped, pointy, or otherwise fake looking. Other patients want a more dramatic change and feel their nose is far too large for their face. They may wish for their nose to be more slender, straight, and refined in appearance. In deciding what size and she does will look best on each person, a skillful plastic surgeon will need to determine what changes can be safely and accurately made depending on a person’s starting size, shape and features. There are five parts of the nose to consider when thinking about rhinoplasty surgery changes, and Dr. Suzman evaluates and discusses each of them with every patient to help clearly define their desires and expectations. The upper part of the nose is made of the nasal bones. The most common changes that can be made in this area are reducing a bump in this area and narrowing a wide area. Making the height of the nasal bones equal to the angle between the top of the nose and the forehead will create a straight nose which most patients find desirable. Reducing the bone too much may cause an indentation, and will both look unnatural and make the lower nose appear too big. This can also can also limit airflow, so the goal should be straightening and narrowing, without overdoing it. The middle part of the nose is made of bendable cartilage which goes from the nasal bones towards the tip. The center part is the septum, which is a rectangular piece of cartilage that divides the left and right nostrils, and extends quite deep into the nasal cavity. On each side of the septum there is a small curve of cartilage called the upper lateral cartilage that helps hold the nasal airway open. In this area, most patients want to see in those appear straight from the front view, and not too wide or narrow. This area may often have visible curves from old injuries or a natural curve-- a deviated septum. From the side view, it is desirable to have this middle part of the nose equal to the nasal bones in height. During surgery to reduce a bump or curve in this area, a surgeon must avoid taking too much cartilage in this area can block breathing, make the news appear scooped out, and make the tip appear too large. Your surgeon will treat this area delicately to try and make it as straight as possible. Sometimes this area needs to be supported or why didn’t with special cartilage graft call spreader graft which keep the airway open and help straighten th in height. Taking too much cartilage in this area can also block breathing, make the news appear scooped out, and make the tip appear too large. Your surgeon will treat this area delicately to try and make it as straight as possible. Sometimes this area needs to be supported or why didn’t with special cartilage graft call spreader graft which keep the airway open and help straighten the nose. The skin of the nose can be very different among various people. It is serves as a wrapping or an envelope to the nose and is extremely important in determining what changes can be made during surgery. Some patients have very thick and perhaps oily skin of the nose, and this makes it very difficult to achieve significant changes in shape. This is especially true of the tip. Other patients have very thin skin, where every minor change can be seen, which can mean small bumps or contour changes could be visible after surgery. Rhinoplasty is interesting because skin is not removed when making the nose smaller. This is different that other plastic surgery procedures, such as tummy tucks and breast reductions. In rhinoplasty surgery, to avoid scars, the skin is left alone and allowed to slowly heal, contract and gently smooth and tighten overtime. This is a gradual process, and that is why it takes more than just a few weeks for the nose to fully heal. Though you may look much different and better by three or four weeks from surgery, your nose will feel softer, more slender and more natural over months to a year, or even longer. Your surgeon can discuss your skin characteristics with you to help advise you on the types of changes that can be realistically achieved. The nasal airway is the final consideration in rhinoplasty surgery, as nasal breathing is very important for comfort, sleeping, exercise and overall health. Sometimes problems such as allergies or sinus issues create airway breathing problems and need to be treated separately from rhinoplasty surgery. Most of the time, however, any blockages due to curvatures in the cartilage or thickening of the turbinate glands can be treated at the same time, resulting in improved breathing after surgery. Again, going to a skilled and experienced plastic surgeon is important to make sure diesel breathing is properly addressed during surgery. One other consideration for many patients is balancing the nose with other face your features. Most of the time, treating the news alone is sufficient to make patients happy with an excellent outcome. However sometimes minor contour issues with surrounding facial structures can be treated at the same time to create superior results. Patient with a small or recessed chin often appear to have larger news is because the news tip protrudes much beyond the end of the chin. Placing a small chin implant can provide more balance and harmony and more of a straight line between the base of the nose the lower lip and the chin, creating a more balanced facial appearance in a natural surrounding facial structures can be treated at the same time to create superior results. Patient with a small or recessed chin often appear to have larger news is because the news tip protrudes much beyond the end of the chin. Placing a small chin implant can provide more balance and harmony and more of a straight line between the base of the nose the lower lip and the chin, creating a more balanced facial appearance in a natural me Way. Some patients have a deficiency in contour or fullness of the cheek region and some minor fat grafting or injectables can also add balance and harmony when done naturally. Another common treatment at the time of rhinoplasty surgery is minor liposuction underneath the neck and chin if that area has some fullness that can be easily corrected. With an open and honest discussion of your goals and ideals with your surgeon, and reviewing your photographs, we hope you can decide what changes are ideal for you. We hope this discussion of the architecture of the nose has helped your understanding so you can communicate your goals and feelings better with your surgeon. We wish you the best of luck in healing and achieving a great outcome. Dr. Suzman is a leading plastic surgeon in New York and a member of the American Society of Plastic Surgeons. 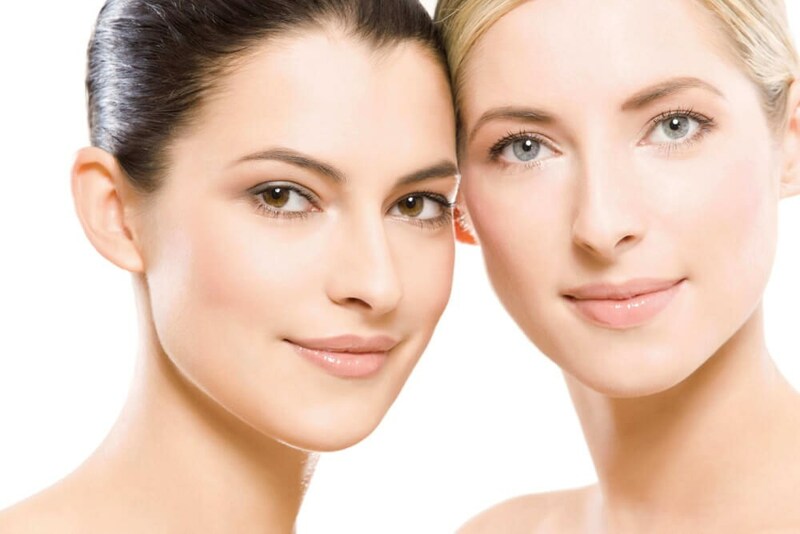 The focus of his practice is on reconstructive and cosmetic surgery of the nose, face, breast, and body. He is widely known for his work in rhinoplasty and nasal injury correction. He has offices in both Westchester County, NY and Greenwich, CT and serves patients from around the world. You can learn more on our website, on Facebook (click here), or on Instagram (SuzmanPlasticSurgery). To schedule an appointment, visit www.westmedgroup.com. He has worked at WESTMED Medical Group, one of the country’s leading multi specialty group practices, since 2002 and currently serves as the chairman of the Board of Directors of the group of over 400 physicians!